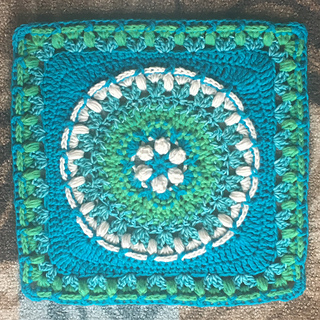 Welcome to Week 8 of our 2019 Block of the Week Crochet Along. I am pleased to see so many of you chatting and sharing photos on my Ravelry board and my Facebook Crochet-A-Long group. Feel free to jump in any time. Tag your Ravelry project pages with #BAWJ2019 and social media posting with the same or with #crochetalongwithJulieAnny. This week we have an exciting design by the very talented Anna Piskorz of http://aloopofsunshine.com, and Anna has been gracious enough to offer it as a free pattern on her blog. Anna has many designs appropriate for our current CAL, including Sunrise Square, Euclidian Garden Square, and Simply Sunshine Square. Check out her Ravelry designer page, and follow her Facebook page. Fun fact – Anna has never completed an afghan! Have you purchased your CAL bag yet? Mailing out almost every day – my custom heavy-duty canvas tote bag, see here for more information. If you spend $25 in one day on my patterns, send me your address and I will send out the bag to your U.S. address. For International addresses, postage is at cost and can be calculated on my Etsy listing. If you purchase yarn through any of my links, I will receive a commission. If you need help with color coordination, check out pre-made palettes at Wool Warehouse and Deramores. Look for good prices at Michaels, Joann, Lion Brand, Hobby Lobby, Red Heart, Annies, and Consumer Crafts. Welcome to Week 7 of our 2019 Block of the Week Crochet Along. I am pleased to see many of you chatting and sharing photos on my Ravelry board and my Facebook Crochet-A-Long group. Jump in any time. 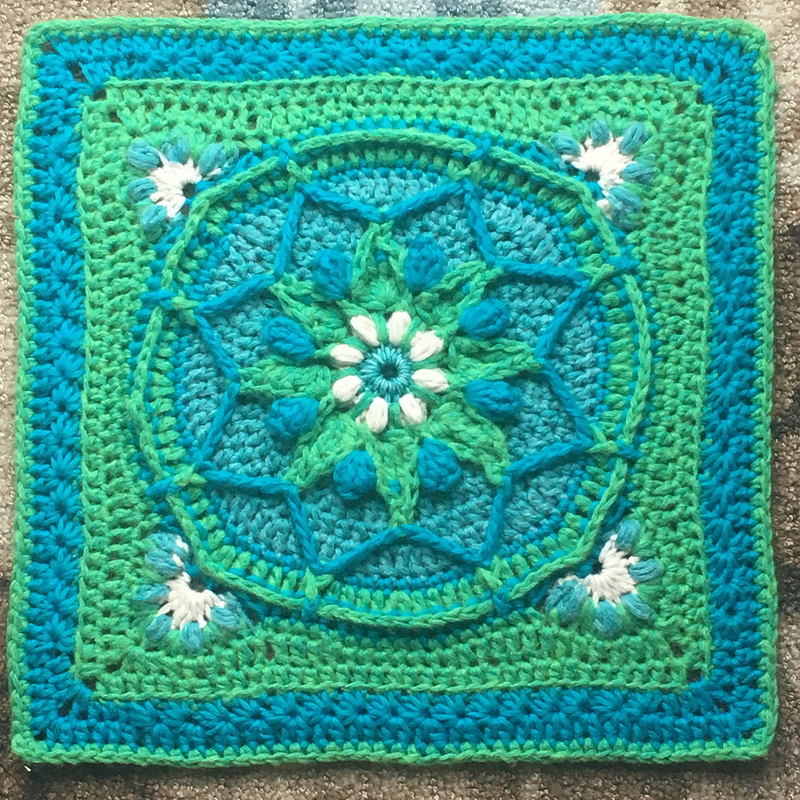 This week we have a lovely square designed by the prolific Tamara Kelly of Moogly.com. Tamara has done so much to popularize the crochet blogging world over the past few years. She is a tireless representative of our craft and I am amazed at her designs, her innovative ideas, and her work ethic. I have had the pleasure of participating with her Moogly Block of the Month project over the past several years. 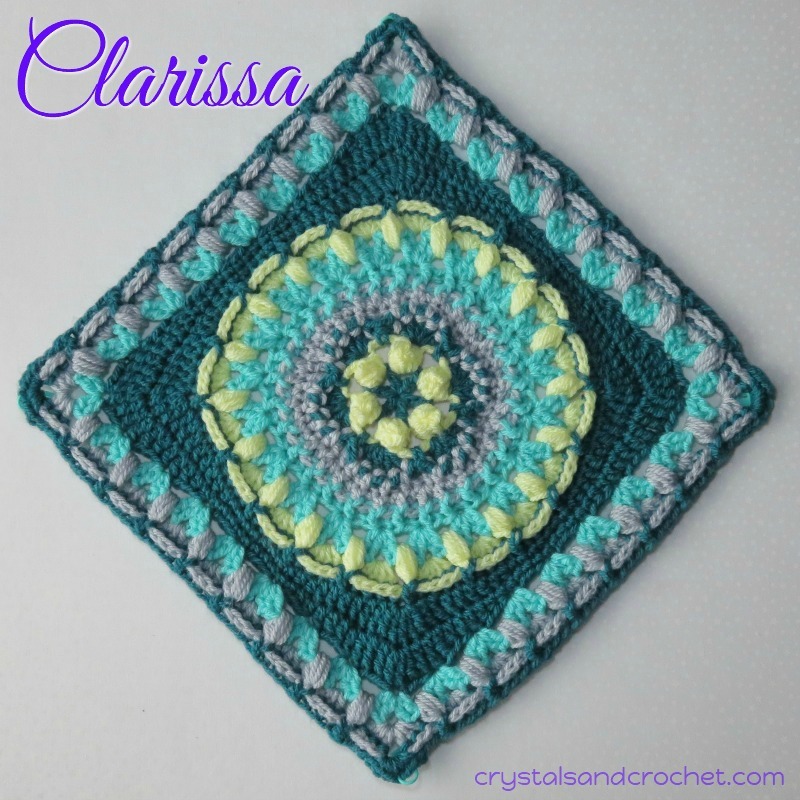 Joyful Afghan Square is a fun mandala with opportunities for color play in a soothing and fun design. The pattern is posted in full on the Moogly blog, and while you are there, check out some of my other favorites, like Greyson Baby Blanket, Blackberry Salad Striped Baby Blanket, and Moroccan Market Tote. The Ravelry listing is here if you would like to see what other people have done with it. Make a project page! Please use tags #BAWJ2019 and #crochetalongwithjulieanny on social media. I would love to see your work! Welcome to Week 6 of our 2019 Block of the Week Crochet Along. I am pleased to see so many of you chatting and sharing photos on my Ravelry board and my Facebook Crochet-A-Long group. This week we have a new design by the very talented and prolific Rachele Carmona. Rachele is the artist behind CypressTextiles.net and BabyLoveBrand.net and has designed hundreds of innovative crochet projects. She has a new book available called The Art of Crochet Blankets, available on Amazon. One Love II is a beautiful textured block available free on Rachele’s website. Some of Rachele’s other standout designs are Happy Little Tree Blanket , and Dutch Rose, and I really love Trellis and Chevron. Rachele is a mom of four little ones; I don’t know how she has the time to produce so many beautiful designs, but like they say, if you want something done, ask a busy person. 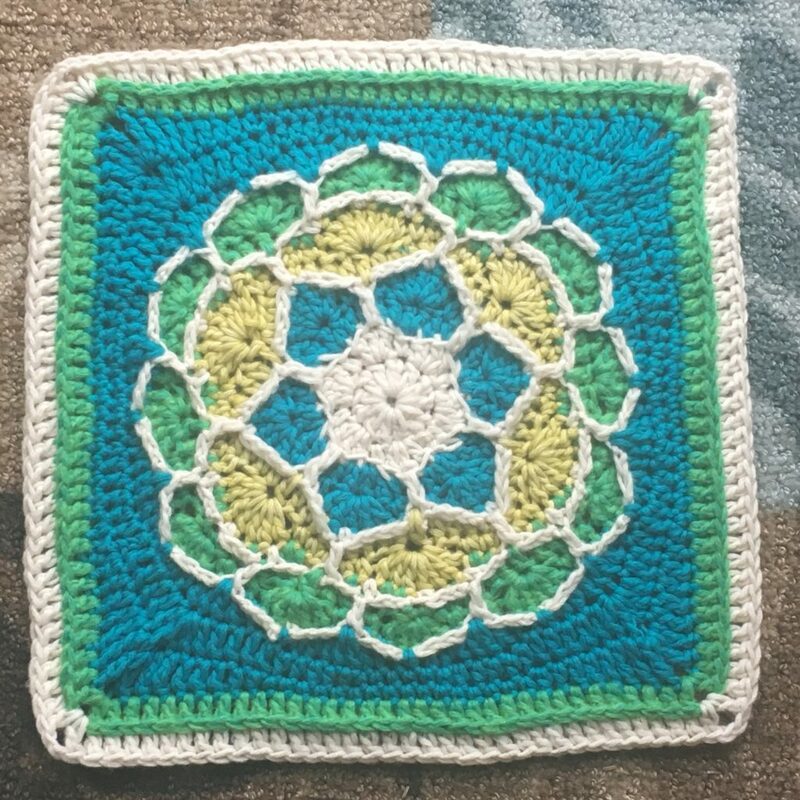 Welcome to Week 5 of our 2019 Block of the Week Crochet Along. I am pleased to see so many of you chatting and sharing photos on my Ravelry board and my Facebook Crochet-A-Long group. Please post project photos on Ravelry and use hashtags #BAWJ2019 and #crochetalongwithJulieAnny on social media. This week I have the pleasure of featuring the work of one of the shining stars of the crochet world, Helen Shrimpton of www.crystalsandcrochet.com. 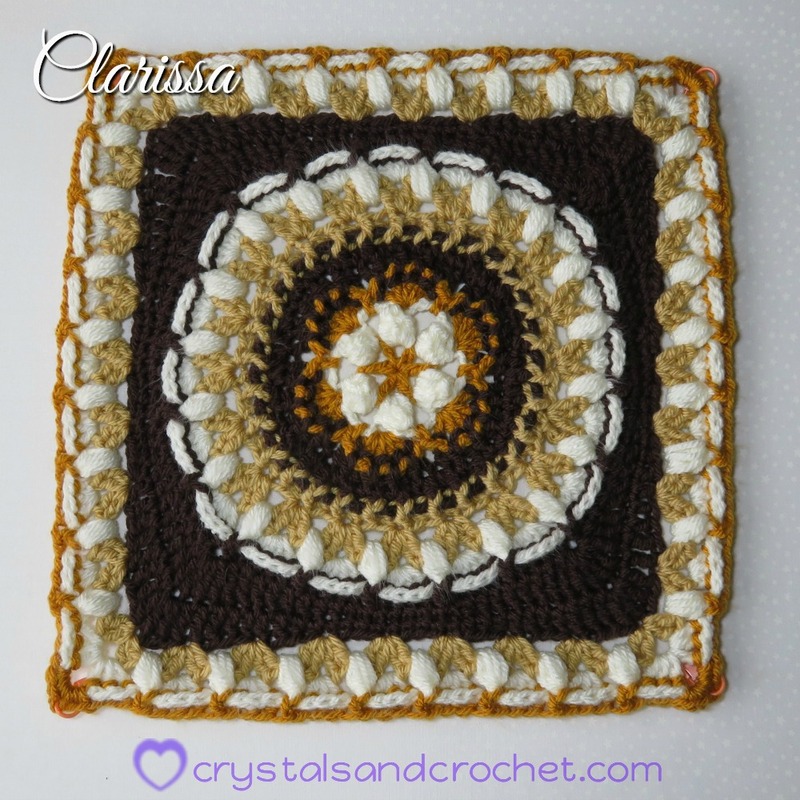 Helen has come up with another “perfect” design, perfectly balanced and perfectly written, called Clarissa for the bright and clear sun in the center mandala. The pattern has a photo tutorial with each round for the visual learners. I really enjoyed stitching this block, and learned a thing or two along the way.